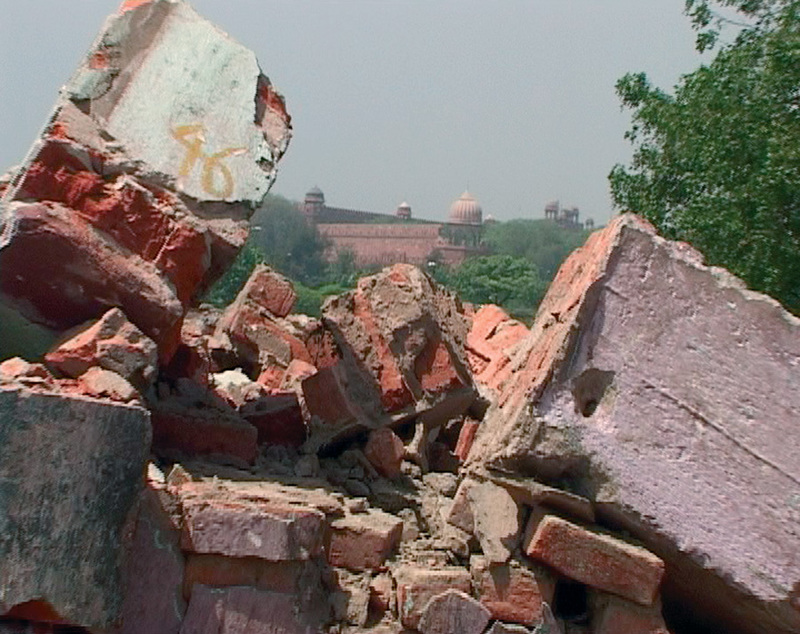 Why did our Courts order the demolition of 40,000 homes, that displaced 1,50,000 people who were living in Yamuna Pushta for nearly four decades? The demolitions took place on the dictates of the Delhi High Court, which ordered the removal of all the Yamuna encroachments within two months of the order. Justice B.D. Ahmed vacated the stay by a Single-Judge Bench of the High Court on February 5th, 2004. The reasons cited by the Court, for ordering the demolitions of the Yamuna Pushta slums were, encroachment on the river bed and pollution of the river Yamuna by slum dwellers. Encroachment on the river bed, not only then includes Yamuna Pushta but also in reality opens up a can of worms. Logically speaking, any construction on the Yamuna river bed, should qualify as 'river bed encroachment'. Thus the Delhi Metro, the Delhi Secretariat, Akshardham Temple, the Metro Rail Headquarters, the Commonwealth Games Village and many more known structures are all on the river bed. A simple example: the Metro Depot occupies around 52 hectares of land that is river bed, and logically, the Delhi Metro is a prime example of river bed encroachment. Also, the Metro Depot could have been located anywhere on the Metro network and even though it is highly polluting, it is still left untouched and thrives. The Metro Depot uses river bed ground water (which is actually notified for drinking purposes), to wash trains and releases the wastewater into the river. The river bed is protected by the Delhi Master Plan and by notification of Central Ground Water Authority. Thus, experts opine, that logically all uses on the river bed, are in violation of the various statutes, and thus are all river bed encroachments. The entire Metro centre has been developed, by dumping fly ash onto the river bed. Usually garbage is dumped onto the river bed. Now with the addition of fly ash, the combination (of garbage and fly ash) creates an extremely dangerous situation when dumped near a water-source, as various pollutants including heavy metals, find their way into the groundwater. The second reason - that the slum dwellers are the main polluters of the river Yamuna - is a lie and hogwash. The problem is, that in India, a lie spoken a hundred times tends to become the truth, at least for those who know no better. According to a study conducted by Hazard Center, A Report on Pollution of The Yamuna, 2004, around 3,600 million liters of wastewater generated in Delhi, goes into the Yamuna every day. Of this, less than one percent (actually some experts opine that it is around 0.8 percent) of the 3,600 liters of wastewater is the contribution of the slum dwellers. The Government norms of supplying water to jhuggis are around 40 liters, per person, every day. Slum dwellers, in reality, get around less than half the supply of water; that comes to around 16 to 20 liters of water, per person or two buckets of water, per person, for the entire day. Most of us belonging to the middle-class and the affluent, consume around 400 to even 450 liters of water, per day, individually. Do your math. Output is equivalent to input. The poor can't be the main polluters of the Yamuna, as they don't have the input (water) and thus can't contribute to the output (wastewater). Whenever the authorities, the land mafia or some World Funding agency needs land, slums are demolished. Between 1990 and 1999 almost 25,000 jhuggis were demolished. And again during 2000 to 2001 another 15,000 homes were demolished, that rendered more than 100,000 people homeless. By the beginning of 2004, 50,000 jhuggis were demolished. 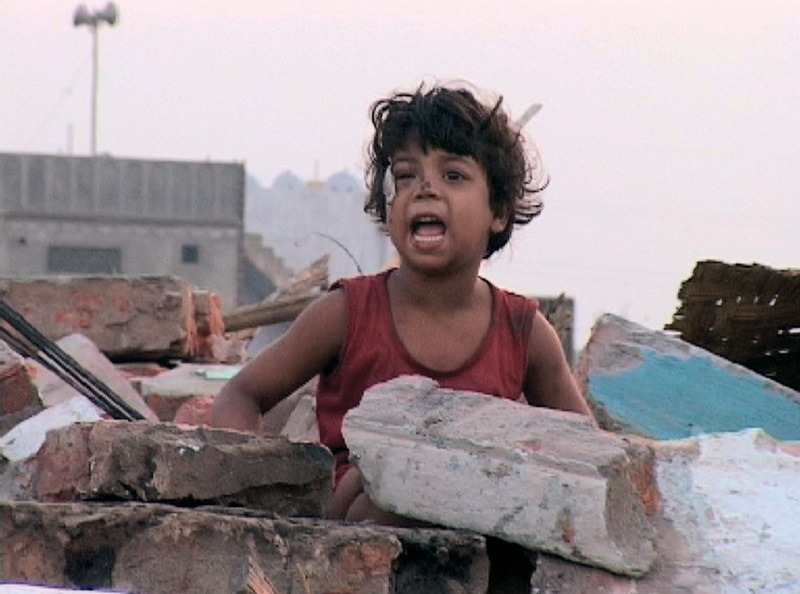 Since mid-2004 till now (mid-2006), between 2.5 lac-3.5 lac people have been rendered homeless, in Delhi itself.